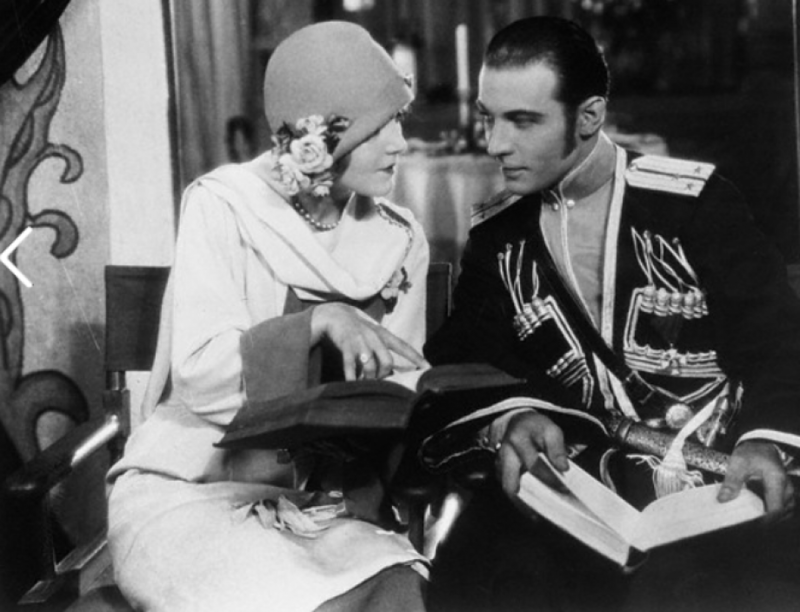 Pola Negri, film star and her husband pseudo Prince Serge M’divani celebrated Christmas with a Yule fire at the Crillon Hotel the fire being kindled with papers in the divorce case which they both agreed to drop a few days ago. “We intended to burn them ceremonially at our chateau said pseudo Prince. “But we couldn’t wait” So we burned them at the hotel. They were an eyesore to us, and we are so happy. M’divani and Miss Negri left later for the chateau to spend the holidays. They exchanged Christmas presents. 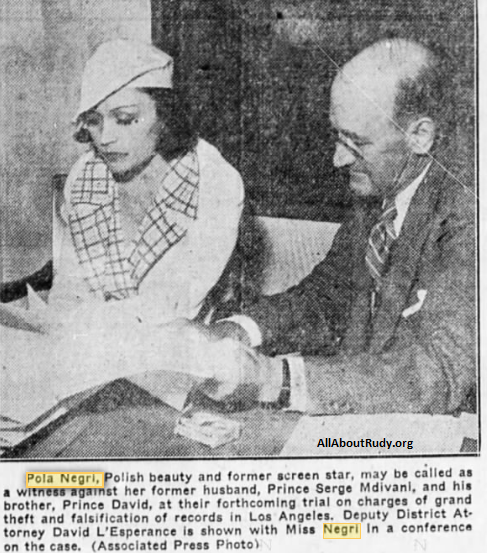 The pseudo prince received two racehorses which are to form the nucleus of a racing stable and Miss Negri will she received a diamond and emerald necklace sources said was paid for by her money.